Why would I need self storage in Lakewood, WA? There are a variety of reasons why you might need self-storage in Lakewood, WA. How much is a storage unit in Lakewood, WA? The cheapest storage unit in Lakewood, WA is $69.00 per month. What size storage units do you have available in Lakewood, WA? In Lakewood, WA we have sizes that range from 5'x5' to 12'x30' to suit your storage needs. How much is it for a 5'x5' storage unit in Lakewood, WA? The cheapest 5'x5' storage unit in Lakewood, WA is $69.00 per month. Lakewood is a mid size city in Washington's Pierce County, home to a diverse population that has begun to grow again in recent years. The city is named for the numerous lakes in the area, including American Lake, Gravelly Lake and Lake Louise. Much of the city's local population and economy are centered around the area's military bases. Settlers began farming the land in the area that's now Lakewood in the mid-1800s. In 1849, one of the farms was leased by the U.S. Army to become a military post called Fort Steilacoom. Around this same time, the area saw the building of a flour mill, a saw mill and a grist-mill. The Tacoma Speedway was built in the early 1900s and drew crowds with its racing events, boosting the local economy. The city was incorporated in 1996 after decades of growth and the arrival of businesses to the area. As Lakewood has undergone significant development in recent years, it has evolved into a desirable place to live. In the early 2000s, the city established its first police department, which has made Lakewood a safe place to live. In addition, home prices in Lakewood are fairly affordable compared to those of many large communities in Washington. If you're looking for a town that has a number of amenities, Lakewood has plenty to offer. There are two colleges in the town and several others within a 20-mile radius. There are also several medical facilities, including a hospital, a dialysis center and home health care facilities. Everyday conveniences like grocery stores and coffee shops are also easy to find around town. Lakewood is only about 33 miles from Seattle, making it an ideal option if you want to be close to the city without having to endure the traffic and high cost of living. Schools in Lakewood are part of Clover Park School District. The district manages the city's elementary, middle and high schools, as well as a preparatory school. Utilities: Which specific utilities providers will service you depends on where your home is located. Major utility companies serving Lakewood include the Lakewood Water District, the Pierce County Water Utility, Lakeview Light and Power, Puget Sound Energy and Tacoma Power. Garbage and Recycling: Waste Connections facilitates trash, recycling and yard waste collection throughout the city. Transportation: Pierce Transit and Sound Transit both operate public transportation routes in Lakewood. Whether you're looking for an apartment, a single-family home or a condo, you'll find a variety of options throughout the city. Although the median home price in Lakewood is higher than the national average, it's considerably lower than the Washington state average. Our lowest priced units in Lakewood, WA average $70.50 per month. 98 people have reserved units in Lakewood, WA in the past 30 days. 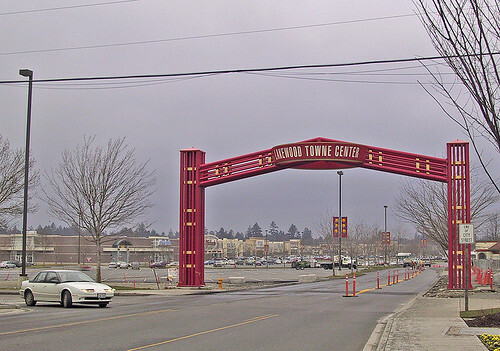 There are 2 locations within Lakewood, WA's city limits. There is 1 location in Lakewood, WA that offers AC and Heating features.